Short Description: A blog about a mother's journey throughout homeschooling, reviewing children's books, and providing parenting tips. A blog about a mother's journey throughout homeschooling, reviewing children's books, and providing parenting tips. A Ducktrinor Mom is a mother who follows a madhab (an Islamic doctrine) to teach the deen to her son. Which madhab? Take a guess ;). Why? Because all the doctrines are somewhat related and the differences between them are relatively small. Short Description: A blog about homeschooling and good parenting. This is Adiba Anwar a teacher /a mom and a writer of children stories and articles about parenting and homeschooling guide and tips.You can find teaching methods, free printable, crafts for children and free educational resources with videos on my blog. Short Description: The blog highlights on our parenting journey, lessons learnt from my daughter and the researches we do on upbringing her. Alizehmysoul is a space where i pendown my experiences on our day to day life. how she made me to care about each and everything almighty has given us. I am a first time mom and leading a simple life where i am trying to use the minimal resources. I do follow breastfeeding, babywearing, clothdiapering and in short attachment parenting technique . Al hamdulilah allah has given an opportunity to deal with this in a smooth way. Short Description: I'm a college student who writes about my career in tech, makeup, and healthy lifestyle. My name is Ayesha Khan and I am a student working on my Software Engineering degree. I’m a huge fan of structure and simplicity in both design and code. I write about my career in tech, makeup, and healthy lifestyle. This space is called Black Seedling, simply because our black children are blessings that need to be fertilized with affirmation, self-appreciation, and self-respect in a safe environment to grow. It is a space, community or village and not a personal blog for only me to share my parenting journey. I would like it to feel like a group of like-minded folks sitting in a room helping and learning from each other. It is a community because I believe in the village approach to raising children. It is a community because I’m not arrogant enough to pretend I have all of the answers. It’s a community because we need to learn from others who are living this duality. This community will be a place where we can exist without explanation. It will be a place where we can share resources, questions, concerns, and tips. Short Description: Helping moms live a cruelty-free lifestyle one product at a time! Before I reverted to Islam I researched many topics about halal and haram. My thoughts always went to food but then I realized it meant more than that. I started looking into cosmetics ingredients I realized that there was a lack of information for Muslims. So in 2017, I moved to Germany with the intention of starting a halal soap company. Due to numerous reasons that dream was put on the back burner until later on. So instead of selling halal soaps, I started this blog to focus on everyday products and the ingredients that we should avoid as Muslims. I write articles about brands and products you should avoid or buy. I'm currently working on adding posts so that anyone can make there own products at home. Interviews with interesting women from all sorts of backgrounds, living inspired lives. Musings, poetry, recipes, knitting patterns, food for thought. My name is Fatima and I’m the creator of Fatima’s Fabulous Kitchen. As a first generation child, I grew up eating vibrant and bold Indian food in the home - curries, daal, biryani - recipes passed down for generations. And outside the home, I was always excited to try new dishes from different cultures around the world - everything from pad thai to arepas to Southern grits. My recipes are a reflection of my upbringing as well as the larger millennial food culture which champions innovative fusion of flavors and concepts while still respecting tradition. My philosophy is that food should be vivid and robust and most importantly shared. Thank you and I hope you enjoy these recipes with your friends and family! The blog is a space for me to articulate my thoughts and feelings about society, the world, my identity and so on. Assalamu alaykum. 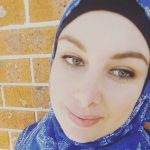 My name is Katie Quirk and I'm an Australian revert Muslim. I write blog topics that help others in understanding the fundamentals of Islam. 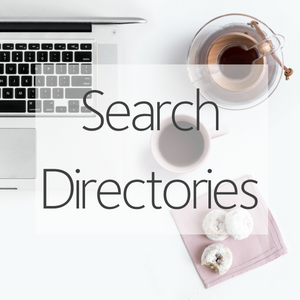 You can also find advice, DIY tutorials, Islamic wallpapers and du'as (supplications) that Muslims can incorporate into their everyday lives for different occasions. Mostly these are my own writings that consist of short stories on various themes and poetry. Apart from that, I talk about the events I attend and issues I have strong opinions about. I have recently (not that recently) started a series called Zoe Chronicles. These chronicles are mostly true stories of incidents that have happened with me. Soon, there will be entries on Travel on the blog as well. Since I am new to the whole experience, I am sticking to a fairly basic design. But I aim to help young muslims (and non muslims) understand Islam better, which is why I have a section called " An aayat a day", where I take an aayah of the Quran and explain it - not the same as tafsir, but I try my best. I also have a section called "Thunder thoughts' - basically just quotes I like, and why I like them. The last addition to my blog is "Story of the Day" which is usually a current event, or something cool, going around the world. Hoping to make a difference in the world, day by day, little by little, Inshallah ! Join me for posts on my experience of applying for Medicine, studying Medicine and beyond; as well as posts full of advice for all you aspiring medics out there! I love people but I also spend a lot of time alone, I embody this on my blog by reflecting on topics such as being single, marriage, divorce, death, grief , self development, motivation as well as fun events I've attended, challenges I participate in and great books I've read. Mamateachesme is our homeschooling blog. 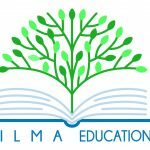 As a former primary school teacher turned homeschooling mama, I want to document what we do to help others and motivate them to get started or continue with homeschooling. Our homeschooling journey takes place in the blessed city of Makkah, Saudi Arabia. I also run a private nursery in my home which features a lot through our homelearning. Short Description: A mish-mash of a little bit of everything to bring some sunshine into your day. A lifestyle blog, based in London includes food, fashion, beauty, and randomness, all to help you be healthier happier version of you. Short Description: Money Savvy Muslim is a blog to help women make money, save money and live a happier life inside and out! Money Savvy Muslim is a Money & Lifestyle Blog to help women make money, save money and spend money well. Featuring posts on Fitness, Lifestyle, Money and more we also regularly feature small businesses who are muslim owned or muslim catering and we have a regular Charity Partner feature to highlight charities you need to know about. Short Description: I'm a first time mummy to an adorable baby boy, I share tips on parenting, baby updates and our fun adventures as a family. I'm among the first Somali Mummy Bloggers and YouTubers. When you become a mother for the first time reality really does slap you on the face! I found myself constantly thinking that I should tell my friends about “this and that” when they become mummies to make things smoother for them. Then I though about documenting my journey in a blog and eventually YouTube videos. 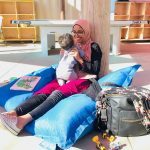 Short Description: Mummy On My Mind - Follow Zeyna on her adventure as she discovers Motherhood as a British Muslimah Expat in Dubai! Mummy On My Mind - Follow Zeyna on her adventure as she discovers Motherhood as a British Muslimah Expat in Dubai! The blog covers family and lifestyle related topics, experiences and reviews. Short Description: Being a Muslimah...with intention, purpose and action! Always looking for ways to enhance my faith, life, health, body and mind, and cooking! Sharing my travel tales as I explore Turkey, one exciting outing at a time. I'm a mom of two boys and am currently pursuing my masters in marriage and family therapy. I worked as a teacher for a number of years and absolutely loved it, but wanted to follow my dream of becoming a counselor! I absolutely love to read! Since getting married and having kids, I found that all the books I was reading dealt with marriage and parenting. So, I figured I'd share whatever I was learning as I was reading and studying in school. I know most of us don't find the time to read, so this is my way of helping anyone that would love to read these books or learn different concepts on their own, but don't have the time! I currently post a video every Monday on my blog, youtube and Facebook page. So far, I've covered tantrums, punishment, discipline, love languages, and what kills a marriage. I have also done some workshops and am currently working on creating a workshop on effective family strategies, as well as working on a workbook for parenting. 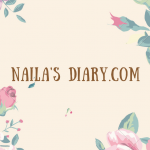 Short Description: Nabila Raine is a lifestyle blog that covers self-care, beauty, fashion, conversational pieces and do it your self projects. Nabila Raine is a lifestyle blog that covers self-care in different ways such as beauty, fashion, do it yourself projects, and advice/conversational pieces. Beauty is an important way to take care of your self. Because when you look good you feel good and when you feel good you do good. This is important because whenever your self-esteem is boosted and you become comfortable with yourself your confidence is ultimately boosted. When you have confidence in yourself you reach for the stars and great things happen. It’s important for us to understand beauty in our own terms and not by what society wants us to think beautiful is. Nabila Raine means Queen of noble character. Nabila is Egyptian for of noble charter and Raine is French for a queen. I decided to choose this name because I was interested in African Queens and Royalty during this past summer. I feel like this was a great combination with a great meaning behind it and a little flow. As women, we should always strive to be of noble character and just be better people in general for ourselves and those around us. Naptime is Sacred is to motivate and inspire busy women to take time to pursue their own interests, passions, and personal growth - while at the same time letting our voices and experience speak for us and not the stereotypes people are used to hearing. 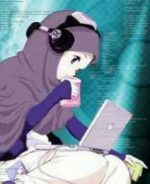 Naptime Is Sacred Podcast has featured sisters like Yvonne Maffei from my Halal Kitchen, Zehra Allibhai from The FitNest, Authors like Shoohada Khanom, Amran Abdi and Rahma Rodaah, and topics such as Muslim Women In S.T.E.M, Addictions, Advocating for Muslims with Special Needs, Domestic Violence, Entrepreneurship, Divorce, Health and much more. Short Description: A personal space where I put everything that I find interesting from my day to day life. A blog that was initiated to share my personal views, reviews, thoughts, experiences from my ordinary lifestyle. A homeschooling mom of 3 writes about how to include children's books and read alouds in your daily lives, as well as other homeschooling tips. Short Description: A muslim blogger and youtuber! My name is Abeeha (known as Rebellious Abeeha) belongs to Pakistan. I am basically a youtuber and blogger. I make videos on my lifestyle, DIY beauty tips, food recipes and about my weight loss journey. I started my channel 2 years before as a kitchen expert but people around me started asking me about my beauty tips and weight loss journey so since then I started making videos about my beauty tips, tricks and weight loss ideas too. I have my facebook and instagram page too where I post updates about my daily life. Short Description: My blog http://www.alsoknownasbeautiful.com/ is about money management, simple living and femininity. I am an Economics graduate and my passion for teaching led me to start blogging on value spending. Money is a huge part of building good character and also living a good life. Other topics I talk about on my YouTube channel are minimalism, leveling up and femininity. Short Description: A site with simple recipes, motivational posts and parenting posts. I post recipes weekly. On Mondays I do motivational posts and recently I have started doing parenting posts as I learn things with my baby. Short Description: I'm a writer and a poet. Experiences as a mother, expat in Pakistan, Muslim convert, and opinions on current events. A'salamu alaykum. I'm Oum Siraj ul Fajr a.k.a Tangier Mama. 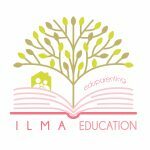 Tangiermama.com is a motherhood and lifestyle blog dedicated to raising the future leaders of the Ummah, in sha Allah. The expressions of a woman juggling being a wife and mom to two little girls, while working full-time in the Technology Consulting industry. 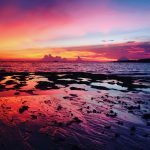 My blog is about work, parenting, family and everything in between - a little slice of the web where I can express myself and connect with others. I appreciate the mix of seriousness and playfulness in everyday life, value family and friendship, and aim at increasing my connection with the Almighty a bit more each day. Short Description: This blog is about everything related to the life of a hpuse wife. You would have stuff related to home making in this blog. Short Description: The Muslimah Mommy is a blog about parenting and practicing peace, positivity, and prayer! 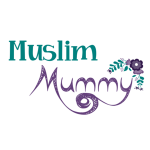 The Muslimah Mommy is a blog started by Sumaira Zaheer, a Canadian born Muslimah mother to four children. Sumaira shares her journey of parenting her children in Canada and the lessons she has learnt along the way! Navigating my way life through the fast paced world. I question the everything and don't embrace the norms gracefully. I write to make sense of things in my head. And amongst all that trying to raise tiny muslims who will make the world a little better a little bearable. Short Description: A mother of two navigating through life in a new country! I’m Sidra, and I blog over at The Wacky Window, where I talk about life, things I enjoy, and some tidbits about parenting. I am not an expert on anything, except maybe talking a little too much; and I write about things that I truly like, or believe in. 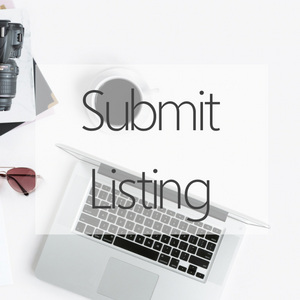 If anything ranging from food, parenting, lifestyle, or home decor is your thing, then you might feel right at home here. Short Description: Nutrition, Children's fiction, and current events. Shireen is the award-winning author of "Rabbi the Rabbit," from Southern California. Find my work on MuslimMatters.org, Muslim Vibe, and Islamic Online University. Find me at the cat cafe. Short Description: I am the found of Through Mama’s Eyes and a Mom Blogger and Influencer based in Southern California. I have 3 children aged 4 yrs,2 yrs and 3 months. My super active, crazy toddlers keep me on my toes all day! I love food, photography, and helping people! I saw a meme somewhere that read "If you can't beat motherhood, join motherhood". Join me on this exhilarating ride with lots of review stops along the way! Join me here to get a REAL perspective on a specific topic or product related to motherhood or your baby. Whether you are trying to find out what to do about the terrible two’s, teething, or having a generally overwhelming day I want to be able to connect with you and say, mama it will be ok, this happens, and we will get through this. I am a biochemist and nutritionist currently working from home. A mum of three with diverse interests, I write an eclectic blog on lifestyle, parenting, travel, health and food. And also a lot about places, events, restaurant reviews, experience - in general my life in Qatar, the country where I was raised. 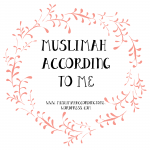 Short Description: A blog dedicated to play it's part in providing material to counter various hindrances coming in the way of a Muslimah's personality development. Short Description: My name is Rabia Ali otherwise known as Brit Deshi Mummy whichever tickles your fancy. Welcome to the world of a British Bangladeshi Mummy. Join me on my journey through motherhood! I’m a first time Mummy, a Muslimah, a Wife to an annoying but loveable husband. I’m an Explorer , Shopper all things Stationery lover. I promise to deliver all things mummy with a dash of Bengali, a sprinkle of crafts , coated in laughs, best of all I get to connect with you and maybe share a lesson or two! I am a self-development and productivity blogger with a positive attitude. My biggest aim is to inspire Muslimahs all over the world to keep them motivated and have a positive attitude in life. This is all that it takes to be able to make positive changes in this world. Parenting blog by a mum to 2 girls. Blogging about life in general as a muslim mum, with reviews and giveaways. Short Description: My views on motherhood, faith and dentistry. Dentist by profession. Currently on a sabbatical and enjoy being a stay at home mum to my one year old. Relearning about myself and the world through the parenting experience. I blog mostly on motherhood, faith and dentistry. 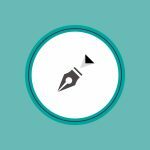 Ocassionally delve in to creative writing. I do reviews of children's products and also books. Short Description: Providing parenting help, tips and ideas for teaching your educated child. This is your one stop for Islamic parenting guide and educational activities. Let me help you to nurture your child. Short Description: Supporting parents and teachers with printables, lessons and teaching tips. This is the teaching blog of Jameela Ho, mother to teenagers and teacher to young children. Jameela has produced many books, programs and printables to help teach children. Get free printables and the free Teaching Techniques ebook to easily teach your child on this blog. Polish revert married to a Pakistani, living in the UK. Mum of one cheeky boy, trying to find balance between cultures. Mostly writing about halal food, with some personal bits thrown in. 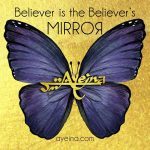 Short Description: Ayeina is a website run by two sisters "AYEsha" and "samINA" (together known as AYEINA) - two Muslim mom bloggers covering the topics of Islam, Parenting, Art and Humor. AYEINA as a whole is a hub for Muslims to reflect - Reflections that lead to positivity through #AlhamdulillahForSeries. A community of people trying to strengthen their Islamic identity and make the best of both worlds. Short Description: Ramshaa Rose, a Muslim lifestyle blogger in her early twenties based in Sunderland, England. Trying to raise more awareness over real-life situations and trying to bring out your inner beauty. A blog about self-discovery, awareness and positivity. Letting go of the negativity and bad vibes allowing each other to grow stronger together. A Muslim social media influencer for the younger generation. Short Description: The light-hearted and honest observations of a sarcastic Muslim Mama. I have a girl and a boy and I am a stay-at-home mum. I used to be a secondary English teacher, but exchanged that life to become a human handkerchief. I am by no means a parenting expert, if there is such a thing, nor do I intend to advise anyone. I just want to provide a place where I can complain about how annoying my kids and husband are and then boast about how great they are all in the same sentence. 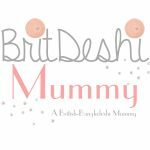 There are many mummy blogs out there that provide very sensible and spiritually uplifting advice. Mine is not one of them. But if you're after some refreshing honesty with a side order of contempt then you've come to the right place. Tesneem's Corner is the destination where Tesneem shares her thoughts on subjects like life, growth, self-love and body image, and also shares some of her work as a journalist, focusing on health, wellness and social issues. Although originally from the UK, she is currently based in Qatar. 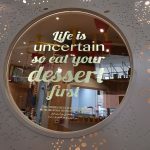 Short Description: An expat mum's guide to a thrifty life in Dubai – Curbing my cravings one dessert at a time.